Is award-winning superior quality and care important when selecting a health care plan? Join AultCare award winners locally and nationally. Studies have shown that health plans earning NCQA Accreditation outperform non-accredited health plans on every single measure of clinical quality and member satisfaction. 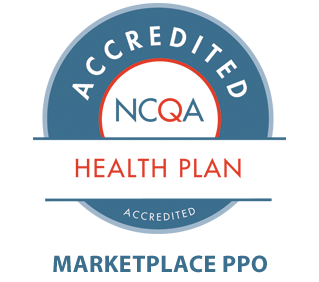 NCQA Accreditation recognizes the commitment of our organization to providing quality healthcare to your family and that we have successfully incorporated quality improvements into our processes. 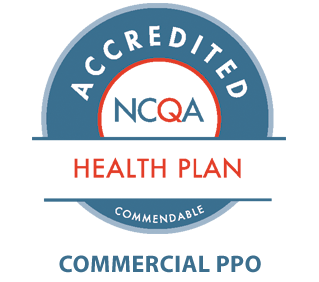 Our HMO and PPO Accreditation status was awarded after rigorous evaluation by NCQA of all aspects of our plan including preventive health services, member satisfaction, physician credentialing, and quality improvement. We are extremely proud of our achievement, in terms of not only what it means to us but also what it means to you - that you can be confident in the quality of healthcare you receive from us. NCQA is a private, non-profit organization dedicated to improving healthcare quality. NCQA accredits and certifies a wide range of health-care organizations and manages the evolution of HEDIS ®, the performance measurement tool used by more than 90 percent of the nation's health plans. NCQA is committed to providing information regarding health-care quality in order to help consumers, employers, and others make more informed healthcare choices. For more information, visit www.ncqa.org. The Healthcare Effectiveness Data and Information Set (HEDIS®) is a registered trademark of NCQA. AultCare received the 2006/2007 Customer Care Award for Ohio from National Research Corporation (NRC). The award was given as a result of a consumer survey ranking AultCare with the highest member satisfaction in the state. "Our employees work hard to listen and get answers for our members. And this award is proof that we're focusing on the right things", said AultCare President and CEO Rick Haines. The award was determined by member satisfaction measured in the annual NRC Healthcare Market Guide study. The winning plans, named by consumers, rank highest in their state. More than 200,000 households representing 400,000 covered lives in the contiguous 48 states and the District of Columbia were surveyed. In 2005, Aultman Hospital and AultCare were the first combined hospital and health plan in the nation to be recognized by J.D. Power & Associates for providing both hospital patients and health plan members with an outstanding patient and member experience. J.D. Power & Associates is widely recognized as the “voice of consumers”. Imagine having a healthcare plan that has been awarded J.D. Power’s highest form of recognition. 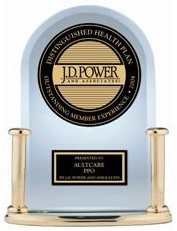 AultCare is among the elite as only 20% of all combined hospital and healthcare plans are even eligible to be recognized by J.D. Power. AultCare scored extremely well in the most critical of all areas: claims processing. To have a healthcare plan recognized for superior claims processing is a plus. AultCare and Aultman Hospital were both selected, along with only 34 other organizations in the business, education, government, healthcare, and not-for-profit sectors to receive the Ohio Award for Excellence, the highest quality based award in the state. The Ohio Award for Excellence recognized AultCare for continuous measurable improvement and utilizing outstanding processes to reach customer-focused performance excellence. 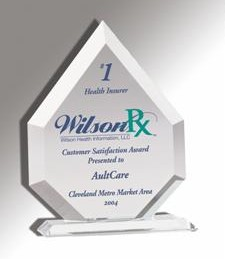 In 2003 and 2004, residents in northeast Ohio selected AultCare to receive the Wilson Rx Award, naming AultCare the number one overall health insurer in the Cleveland metropolitan market (including Akron and Canton). The Wilson Rx Award focuses on various aspects of service, including patient satisfaction, with health plans. The Wilson Rx Award is acknowledged nationally as a welcome addition to the industry because of it’s recognition of high levels of excellence.